Two months ago, I stumbled upon an uncommon but brilliant 6139 variant in stunning condition: the 6139-6030 Speed-Timer. 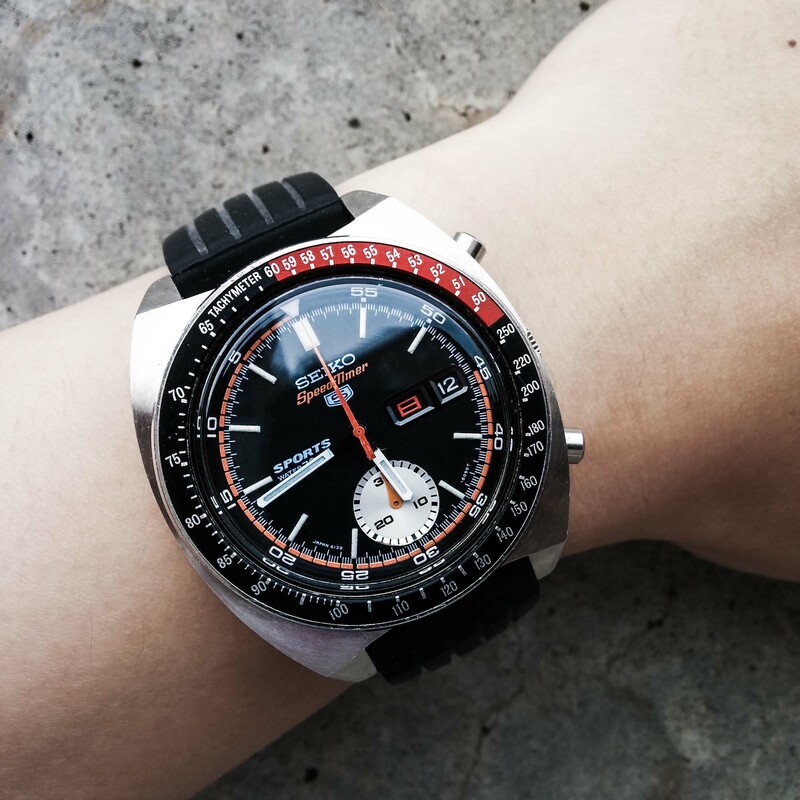 The 6030 utilizes the same distinctive 6005 Pogue case with its unconventional, concentrically brushed stainless steel cushion shape surrounded by sharp edges and angles, capped by a sporty looking red-black "coke" tachymeter bezel. 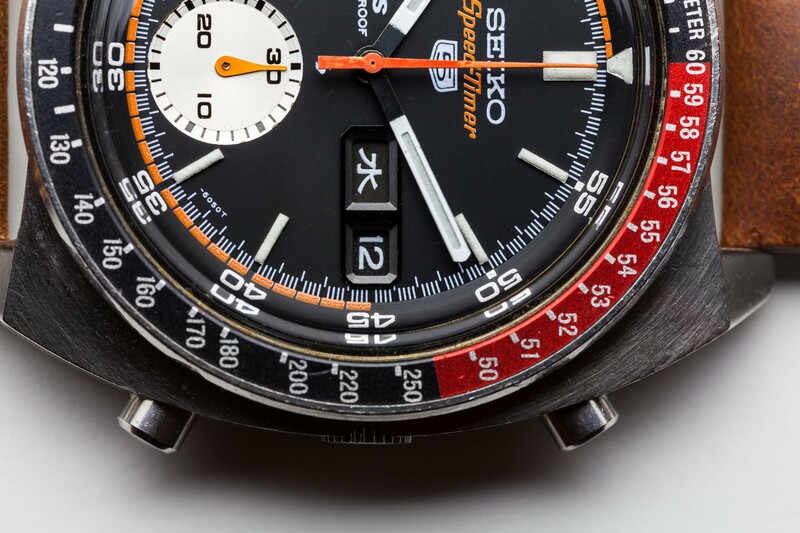 The dial, clearly reflecting its motor racing heritage with its handsome orange accent, shows functional minute, second, and sub-second markers all around paired with a set of hands long enough to reach the said markers properly. 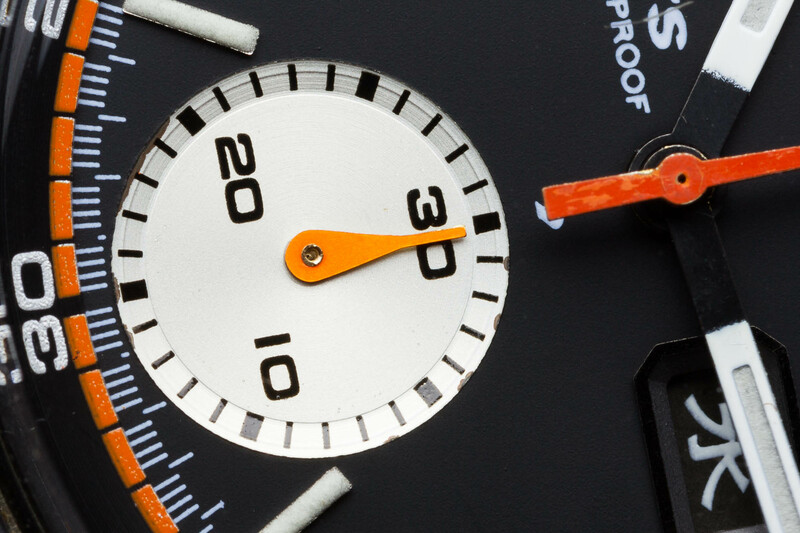 Unlike standard 6005 Pogues, the 6030 comes with a contrasting sub-dial that adds to its 70's appeal. 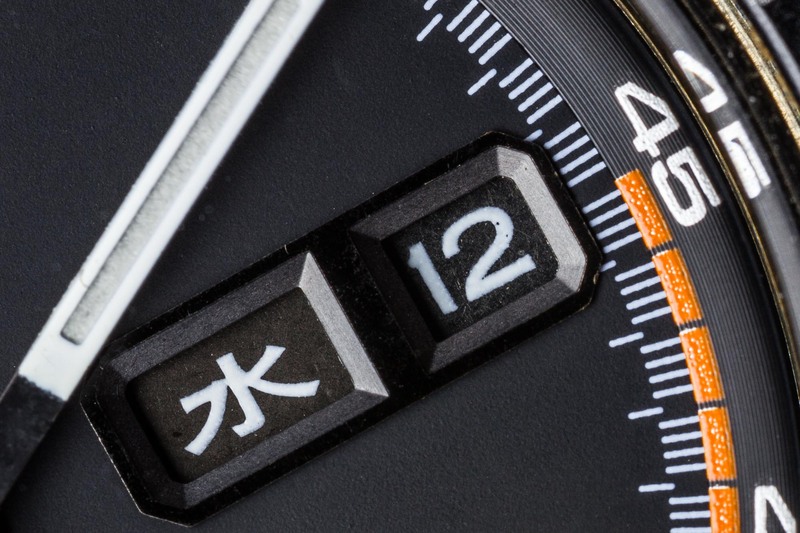 What's also interesting is the rotatable inner bezel being a countdown bezel. At 41mm, the watch must have been considered huge at the time but it's the absolutely perfect size these days. 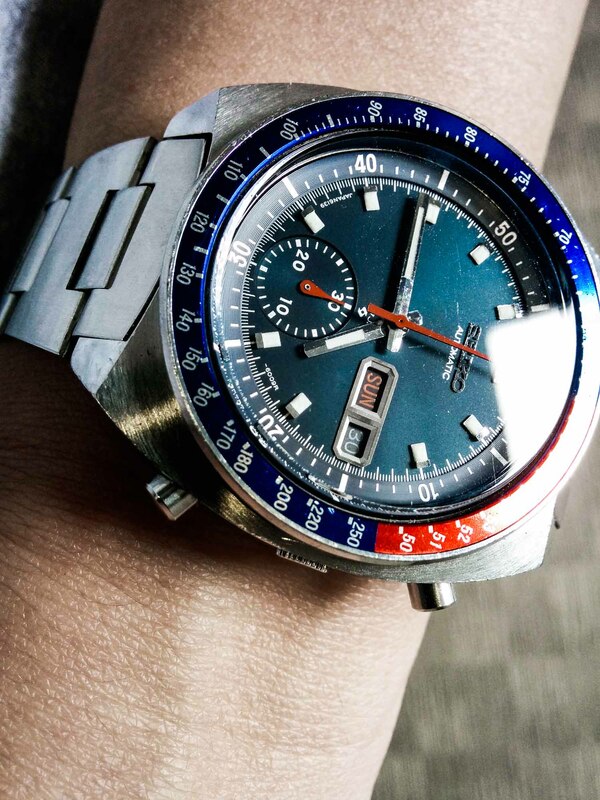 The Speed-Timer designation refers to the fact that this was meant for the Japanese domestic market. The day wheel offers both English and Kanji as options. The 6139 movement inside is also the 21-jewel version, instead of the more standard 17-jewel one. 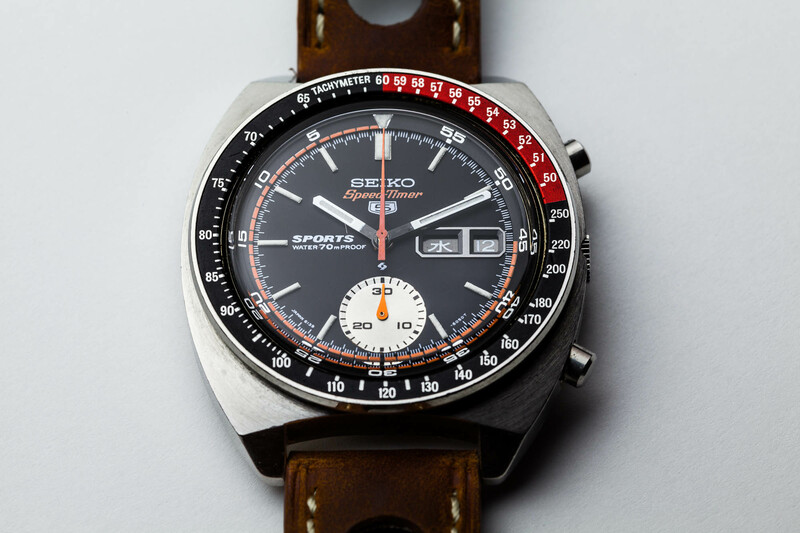 Incredibly, this watch was manufactured 45 years ago in January of 1970! 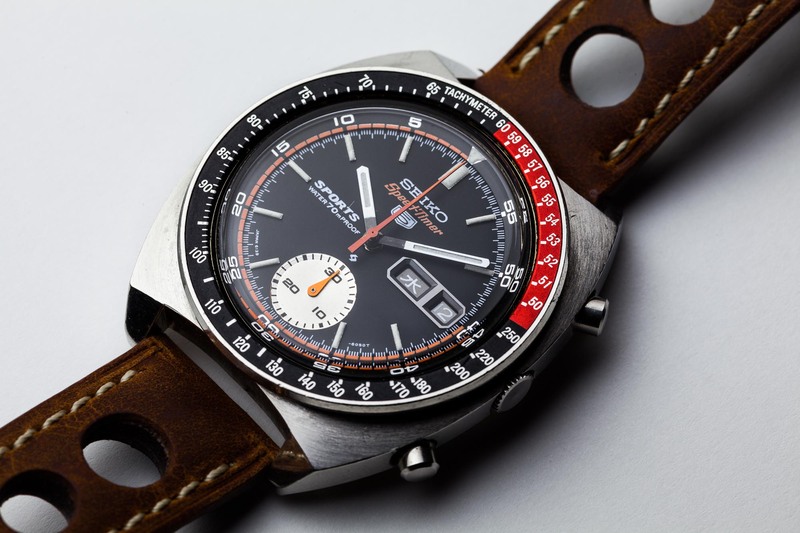 The "notched case" at the crown and the "PROOF" text are evidence that this example belongs to one of the original production runs before Seiko made slight modification to the case and text. It still amuses me whenever I wear it knowing what's on my wrist is almost a decade older than me. 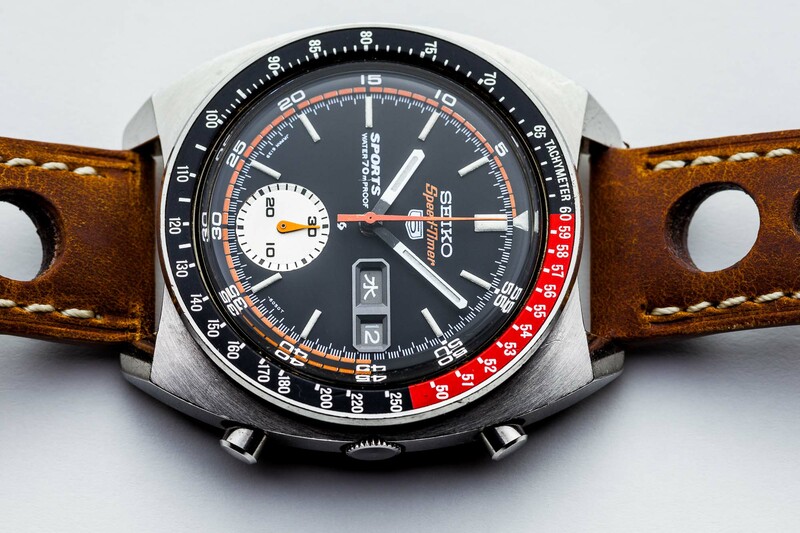 I've had the fortune to own and wear many great watches and learn about them on this forum. With this Seiko 5, I took a step forward in my continuing WIS journey. This has been a lot of fun. 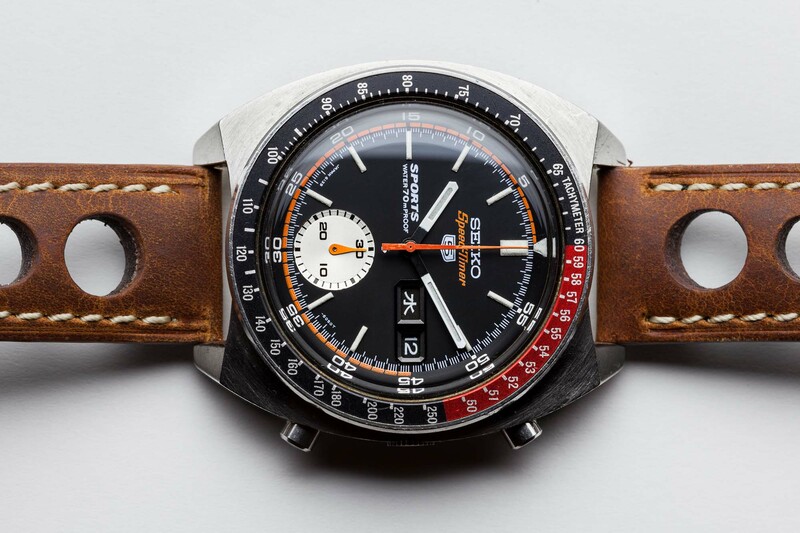 The old age of the watch had more difficulty hiding under the scrutiny of an 100mm macro lens. A wrist shot showing the red Sunday. Shortly afterwards, I also acquired a dark blue 6005 Pogue. Next Topic: Advice on removing rusted pins from watch bracelets?